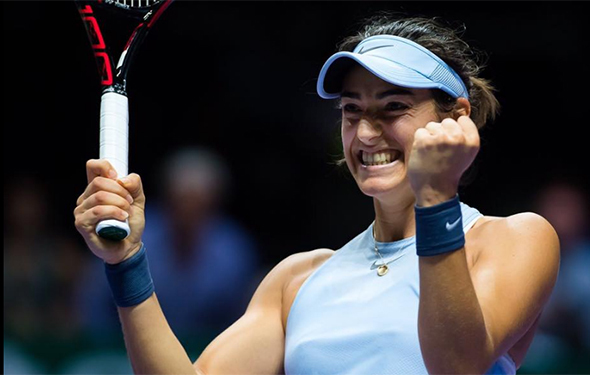 Caroline Garcia was blown out by Caro Wozniacki with a 6-0 bagel in the first set of their WTA Finals round-robin match. Then, after resurrecting with a 6-3, Garcia gained a running start. Going into the third set, she ready and confident. The Frenchwoman knew that she had risen before; now, it was time to fly. Garcia did, just before the finish line. Down 3-5 in the third, she rose. Once again, the Frenchwoman didn’t back off. She beat Wozniacki 7-5 in the third, stunning the world, once again. So now, Garcia has reached the semis against Venus Williams on Saturday. Can Garcia actually win the event? Based on her blazing hot recent play, she has an excellent chance with her big opportunity. Moving into the semis of this year-end tournament in Singapore is a huge career boost. She was No. 23 just one year ago. The 37-year-old Williamd pushed and prodded and finally, after three hours, beat the 20-year-old Jelena Ostapeno . Two days ago, Venus appeared to be tired, but somehow, blasted Garbine Mugruzua, the two-time Grand Slam champion in straight sets. Venus has won the WTA Finals before (2008 vs Vera Zvonareva). When she’s physically well, she has a realistic chance, a big chance, to win it again. It was good to see Elina Svitolina finally play well, and she knocked off Simona Halep. Both of then have lost two times at Singapore, so they are done this year. Svitolina has to calm down and steady herself more in 2018, week after week. Halep has be upbeat and aggressive next year. She remains a threat at every Slam. Wozniacki will face against Katerina Pliskova on Saturday. Pliskova is unpredictable. It’s a tossup, because Wozniacki likes to keep the ball in play. The final decider: It is all on their forehands.